Short and sweet today, just like me. Big, bulky, annoying salad containers – we’ve all used them, right? How many have spilled dressing or had the top pop off? There must be a better way. Guess what? There is, and it’s been around longer than any salad container. Mason jars. healthy salad bits. Seriously, how hard is it to make a healthy salad? 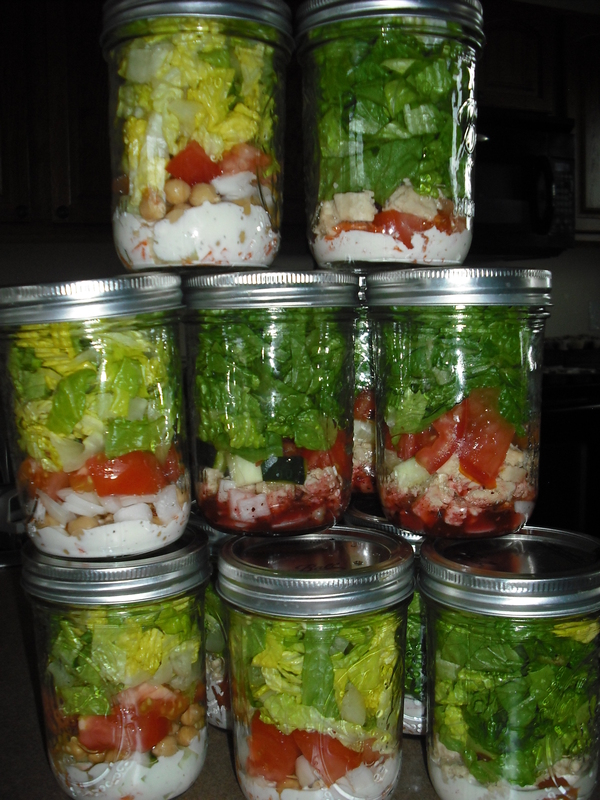 Mason jars are an almost perfect portion for adults, take up far less space than regular salad containers and are easy to clean. I may never eat salad in a traditional container again. Salad is what you feed dinner.